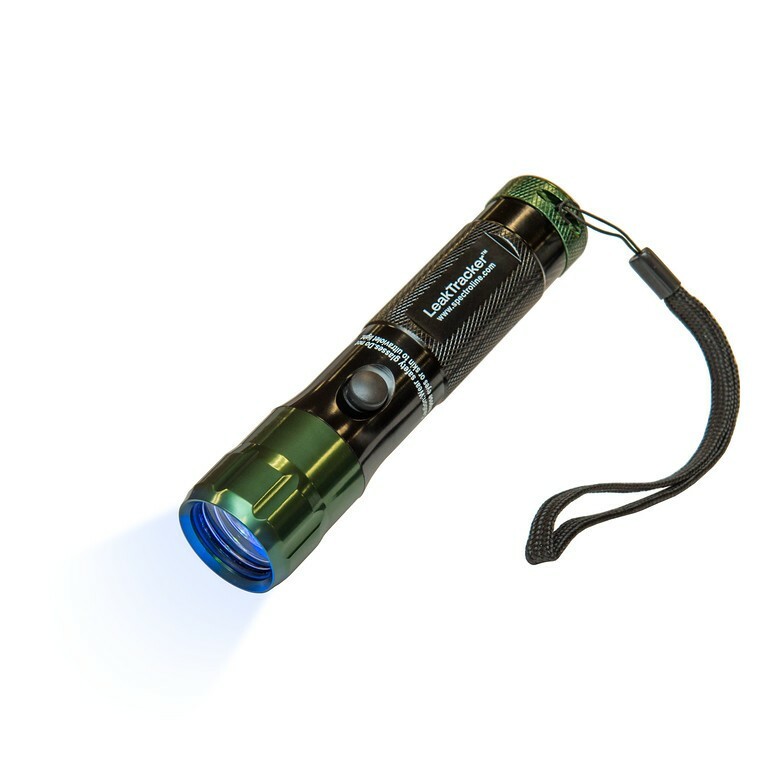 A Rugged, Versatile, Budget-Friendly UV Leak Detection Flashlight! 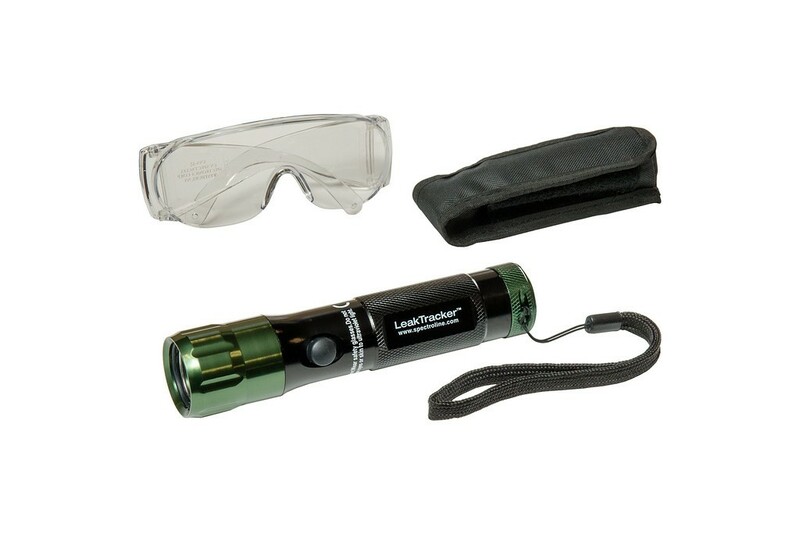 The LeakTracker™ is a durable, yet economical, LED leak detection flashlight that delivers pure UV light for superior fluorescent dye response. 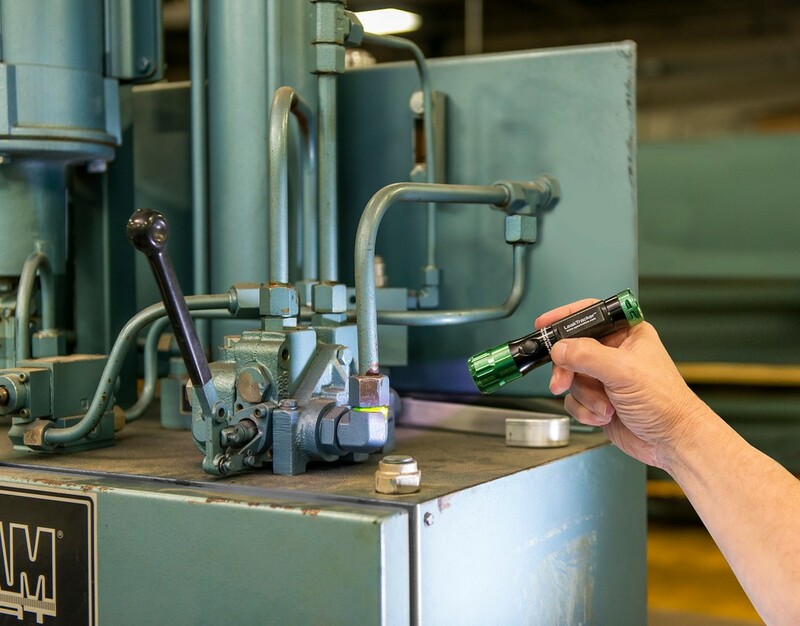 It works with all fluid dyes and systems, producing a brilliant glow that makes leaks easier to spot—slashing diagnostic time! 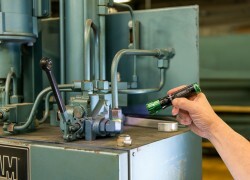 The LeakTracker is ideal for all industrial fluid system applications. • Inspection range of 20 feet (6.1 m) or more! • Works with all oil- and water-based fluorescent dyes, includingdifficult-to-fluoresce yellow, white and blue dyes — even in dirty fluids! 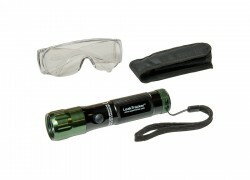 • Instant on-operation; reaches full intensity immediately!